Human resource management is getting harder and harder all the time. It used to be as simple as making sure everyone’s payroll was correct and tax liabilities were paid on time, along with some on the job training and an occasional hire and fire. Today, human resource management is akin to a Rube Goldberg. If you aren’t familiar with that phrase, a Rube Goldberg machine is a device deliberately over-engineered to execute a simple task in an overly complicated manner. Sound familiar? It seems that everywhere we look when it comes to our employees there is a legal risk that we have to assess. Complicated? Absolutely, at times. Overly engineered? Sounds like overly legislated to me. With every risk that comes along, we assess the risk and we determine if we need to put policies and procedures in place to minimize the risk to our business. But where should you start? How about beginning with a review of these 8 human resource policies? More and more employees are performing work related task on their personal devices (smart phones) and with that comes many concerns with privacy and security. Should an employer strictly prohibit any access to work items on personal devices? Should employees be restricted from using their phone cameras at work? What security is in place to ensure your business data doesn’t make it to a personal device that is then hacked? Employees have NO right to privacy when accessing social media while at work or on any company owned equipment. Employees should not be using social media to share customer information in any form unless specifically authorized in writing by the customer. Employees should be advised that sharing any company proprietary or customer information other than that required to conduct company business is prohibited and grounds for immediate termination and possible prosecution. Access to any company sites, programs, data will be immediately eliminated upon termination and any company information that resides on the employee’s person device must be immediately deleted from the said device. Many handbooks have not been updated to address e-cigarettes. Many local and state jurisdictions have enacted laws that prohibit e-cigarettes usage everywhere that smoking is banned. The most common policy is that they are banned in all enclosed workplaces where smoking is banned. Many HR experts strongly agree that e-cigarettes should be included in all handbook updates to smoking policies. Marijuana – depending on where your business is this may or may not be a problem. Possession of marijuana remains a federal crime, although many states have legalized medical marijuana use. A few have legalized recreational marijuana. So how do you navigate this one? You can’t discriminate against employees who test positive for marijuana when it’s prescribed by a physician, however you are still allowed to reprimand if they are impaired on the job due to the use. You can and should still have a zero policy regarding the possession of illegal drugs on company property and you can still have a zero-tolerance policy regarding marijuana use while performing at work, especially if safety is a concern. States have various laws regarding carrying firearms openly or concealed but one thing has not changed and that is the employers right to prohibit firearms in the workplace. Employers may still prohibit firearms in the workplace as long as they provide proper notice. Proper notice should include verbal notice to all employees, written policy in the employee handbook, and clearly posted signs on the dealership property. Many states have specific guidelines on posting, check your state. Am important item of note: In most states, employers cannot prohibit weapons on the premises. Employees (authorized to carry firearms) have the right to transport in their personal vehicle (not your company vehicles) and to keep them locked in their vehicles. 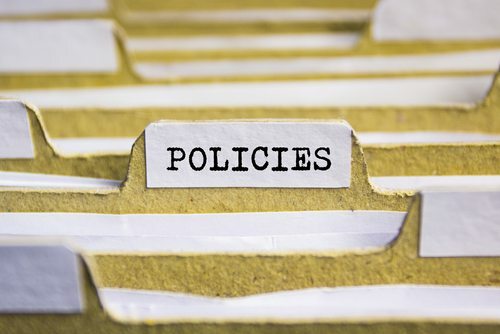 It’s a topic we don’t like to think about and when we do it’s usually in the framework of “it’s not likely to happen in my store.” But the reality is we need to have policies in place to establish what is and is not acceptable. Your employees have the right to a safe work environment. They should feel free from any threat or action of physical violence, harassment of any kind, and intimidation. These can come from other employees, customers, or from vendors you do business with. Your employees should know who to report to if they feel threatened in any way. You should have a procedure for who to notify in this situation. There should be more than one individual they can report to, eliminating the possibility that they have to report to the perpetrator. You should ensure prompt investigation of all threats and have a consistent discipline policy for any violations of the policy. You should also provide training for managers and staff as to how to identify signs of employee behavior that may indicate a potential for violence.